Laser therapy has been around for a while, but its usage for hair loss treatment has been more of a recent phenomenon. According to For Hair Restoration Foundation, the laser therapy (also called laser light therapy) results in an 80% success rate and 40% of patients have experienced their existing hair thickening under the treatment. However, there are also numerous skepticisms out there questioning the true efficacy of the laser procedure for hair loss. Regardless, it’s definitely worth looking at details of how it works and what to expect from it. In this article, we will talk details about laser therapy treatment. Laser therapy machines that are used in a doctor’s office contain about 30 laser diodes that go over your scalp. They rotate around the scalp to reach all areas. It is believed that light wavelength (650 – 670 nanometers) from the machine penetrates and stimulate hair follicles in the scalp, in return, increases the cell metabolism. This helps with a DHT build-up prevention which is known as the main cause of hair loss. What are benefits of laser therapy? It’s effective for treating female hair loss. Compared to male baldness pattern, women have diffused regions of hair thinning all over the scalps. As the diodes that emit laser wavelength rotate at various angles, they effectively penetrate all the areas of the scalp. 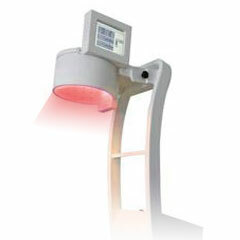 For office laser treatment, it takes from 3 to 12 months. Generally, the therapy requires two office visits per week for 15-30 minutes of exposure each time for the first 2-3 months. The frequency of office visits is reduced to once a week thereafter. 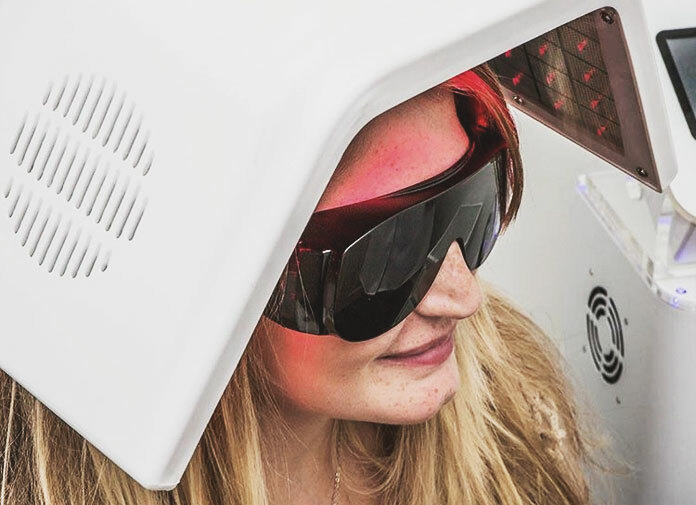 It approximately costs $4000 each year for office laser treatment (If you are looking for more affordable option, read our latest laser hair regrowth helmet review). Which laser machine is mainly used at a doctor’s office to treat hair loss? 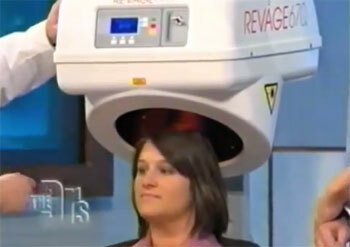 Revage 670 by Apira has been a popular option for hair growth treatment among doctors. The laser machine was also featured on the TV show – The Doctors. During the show, hair restoration specialist Dr. Craig gave a brief demonstration about female hair loss laser treatment using the same model. Another reason for its popularity is because of its proven safety backed by the FDA for cosmetic use.